Add tropical flavor to this refreshing Hawaiian fruit salad. 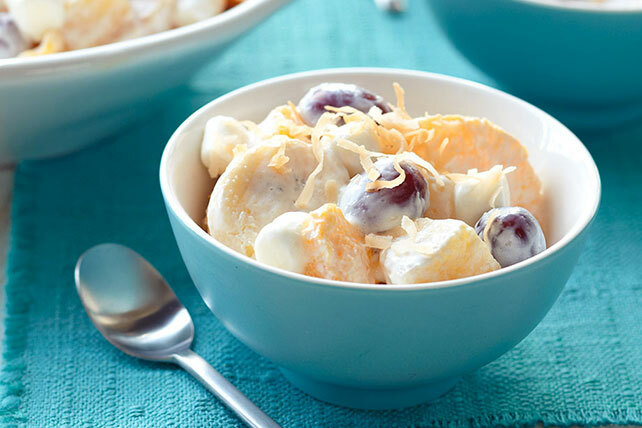 This Creamy Hawaiian Fruit Salad features banana, pineapple, mini marshmallows & sour cream. Mix all ingredients except coconut; cover. Sprinkle with coconut just before serving. Prepare using JET-PUFFED FUNMALLOWS Miniature Marshmallows.